During the offseason, the Braves stated a multitude of times that they would like to go with a four man bench. I am still somewhat skeptical of them actually going forward with that for the majority of the year. It made a good deal sense when Sean Rodriguez was slated to be on the roster, and it still could work if the Braves trust Jace Peterson in that role. 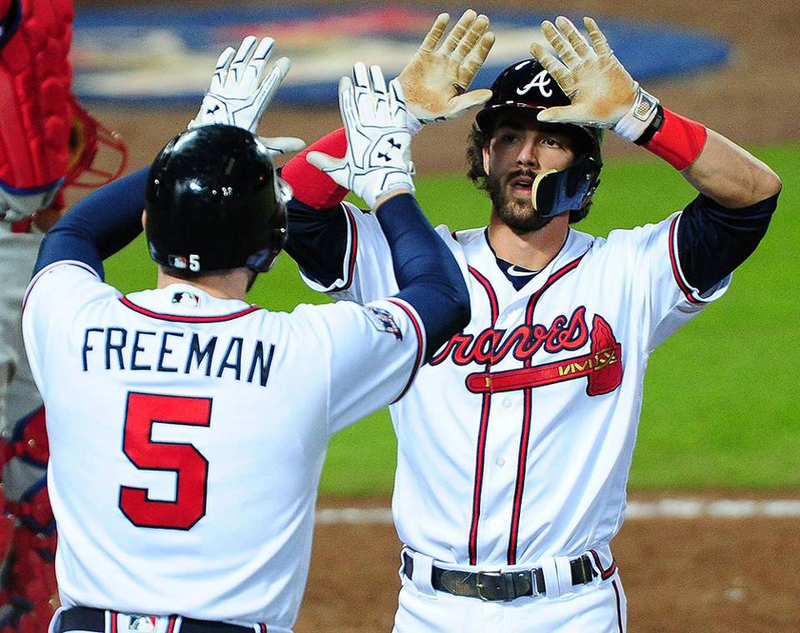 However, with the Braves lack of legitimate bats on the bench they may eventually add a corner infield type bench bat before the year begins. I am thinking a small trade or waiver wire addition. Speaking of waiver wire additions, Christian Walker is a guy I am currently hoping makes the roster. Jaime Garcia had an awful 2016 season but was stellar in 2015. He had big problems with his home run rate which is the biggest reason his ERA and FIP both spiked significantly despite him throwing more innings last year than he did since 2011. Even so, Garcia has only had one other such year where he really struggled in giving up the long ball and his velocity remained strong. Steamer projects Garcia with a 3.59 ERA which I think is a reasonable, if somewhat optimistic, projection for Garcia. We still have to see how the new ballpark plays overall, but my biggest concern with Garcia is not home runs. I am more concerned with him being able to stay on the mound and take the ball 25+ times. I have been on this train for a while, but when I say he is overrated I do not necessarily mean I think he will be a bad pitcher. He may not be the type of pitcher the Braves hoped he was when they acquired him, but he did make some strides last year. His walk rate is still a huge, huge concern and that is what makes me most worried about him. The Braves have some other prospects with walk issues, but Newcomb is probably the closest and best pitching prospect in terms of proximity to the majors. The walk rates have not improved much, and it is difficult to see him netting a better walk rate in the majors than he has in the minors. If he is able to keep the ball in the ballpark as well as he was last year then he has a chance to make an impact soon, but that it is more likely that low home run rate of 0.26 per nine was due to competition rather than a repeatable skill at the Major League level. As I mentioned during our post on the Phillips acquisition, the Braves were comfortable making this move because they are comfortable with Peterson in a super utility role. Unless the Braves acquire a legitimate backup outfielder, Peterson is probably the first backup at all non-first base infield positions and in the outfield. He should see a lot of plate appearances this year, but Phillips has been healthy for most of his career and should hit just well enough for the Braves to keep rolling him out there regularly for a majority of the season. I recently answered this question during a radio hit. The Braves are committed to their rebuild, as evident by the fact that they did not start trading away minor league assets this year to strengthen the team. They went with very short term signings and trades of guys who were likely never going to be too valuable to the Major League team rather than trading some of their best prospects for big time Major Leaguers. Because they acted that way, I am confident that the Braves will be rational when it comes to the trade deadline this year. If they look like a team that can seriously compete, I could see them making trades to upgrade the big club but only if the additions do not cost big time prospects or if the new acquisition is under contract for multiple years.